The Kogi State Governor, Alhaji Yayaha Bello, wednesday said the allegation that he squandered N11 billion was not true. Bello described the allegation as not only mischievous, but baseless. 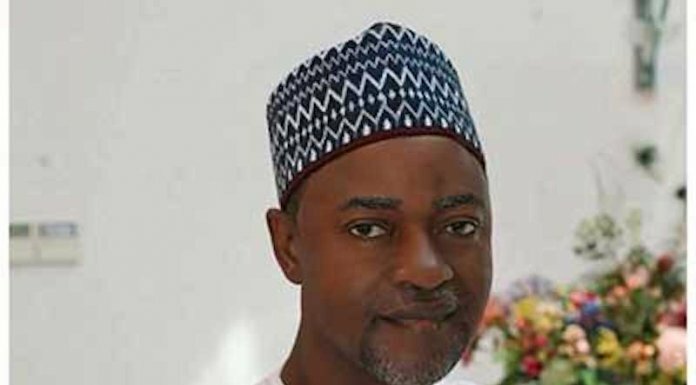 Addressing journalists in Lokoja, the Special Adviser to the governor on Media and Strategy, Mallam Abdulkarim Abdulmalik, said he wondered where such an information emanated from, stressing that the governor had been prudent in managing the resources of the state. He noted that the allegation was an embarrassment to the government and the people of the state, adding that the Commissioner for Finance recently gave details on what came to the state government and how it was spent. He said it was unfortunate that people sit down in the comfort of their homes and dish out lies. He said contrary to allegation of financial recklessness, he had repositioned the state in line with the tenets of fiscal responsibility and financial discipline since assuming office January 27. According to him, the state was among the league of states that have put their feet down on transparency, accountability, prudence and fiscal-tailored financial management. “The administration of Governor Bello has remained the first in the history of the state to publicly declare the income and expenditure of government with copious references to state government accounts at different banks. This is the opium of transparency. “We have no reason to respond to the allegations as we have set the record straight on many occasions. But the public must begin to see the character of those who aspired to lead them. It has become crystal clear that they do not love Kogi State. “Today, Bello has mobilised contractors to rehabilitate our roads in all of the senatorial districts. Today, over 200 utility vehicles have been procured for delivery to security agencies to make Kogi people safe. “The achievements of Bello and their own failure, have formed a chemistry of hate and a delicate determination of the enemies of the Kogi people to wage a relentless war against the people. “Aside the political desperation to intimidate the judiciary, it is also instructive to note that the decision of the Kogi State Government to look into why high-class contracts failed in the state has no doubt jolted the incurable accusers. “There has been multi-faceted pressure on the governor to rescind the decision. But in his characteristic way, he has decided to stick with the people and protect their commonwealth. No amount of propaganda and falsehood can derail the good work the governor is doing in the state. “We make bold to say that every contract awarded by the present administration in the state went through due process. The selling point of our dear party is transparency which is the bulwark of good governance. There can’t be development when resources are siphoned by people who are charged with the responsibility of safeguarding those resources for the common good. “The ongoing projects in the state are speaking for the government. We are silencing our detractors with solid performance. A number of approvals have been given by the State Executive Council for more projects to be executed across the state. After four years, our performance would have done enough damage to the 16 years of locust under the Peoples Democratic Party (PDP). “With improved security across the state, those who celebrated our security challenge are now shifting ground to peddling falsehood. Bello should be judged by his achievements. “All we have for the group called the Egalitarian Mission for Africa is pity. They have acted on a report built on falsehood and malice. Now they have become a subject of scorn for their incoherent, false petition,” he said.